What Are You Getting Your Horse For Christmas? You are here: Home / Featured / What Are You Getting Your Horse For Christmas? What are you getting your horse for Christmas? Oh, you don’t have to pretend. We’re all horse people here. We know how it is. There’s less than ten days until Christmas morning, and you’ve still got shopping to do — you know, the little things for the mailman and the folks at work, and maybe it would be nice if you got your partner something this year — but for that special someone who lives in the barn? You started picking out presents for your horse roughly in May — even if you managed to hold off buying until now. We would be remiss if every now and then, we didn’t turn up with some horse jewelry for horses. And what better time to give jewelry to your horse than the holidays? 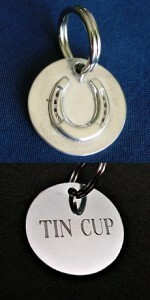 Check out this Sterling Silver Engravable Halter Tag. On one side, it features a horseshoe design — always good luck! — and on the other side, you can have your horse’s name engraved. Other designs are available, so you can select the look most fitting for your horse. 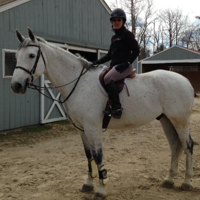 There’s a dressage head charm, a hunter/jumper head charm, and perhaps our favorite, a simple silver heart. Sturdy and dependable, you can count on these halter tags to stay in place and look great!